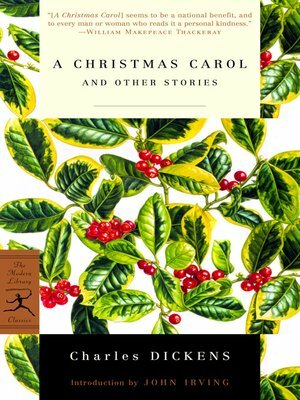 by Charles Dickens Author · John Irving Author of introduction, etc. The Modern Library edition also presents two more of Dickens's popular Christmas stories, The Chimes and The Haunted Man, Dickens's last Christmas tale, which features one of his greatest comic families, the Tetterbys. With an introduction by John Irving.